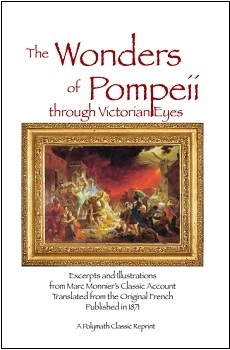 The Polymath Classic Reprints Series! We are proud to announce release of the Polymath Classic Reprints series! We have been unearthing important early writings on things Canadian, and are now making them available to readers once again! We are adding to our catalogue at the rate of approximately one booklet per month. The major purpose of the Polymath Classics Reprint series is to create a sort of portable museum of early writings. The pieces republished here are, in a very real sense, artefacts. They themselves are as much a part of history as are the very subjects they cover, and they should be approached as such. Therefore, very little editing of the pieces is done, and every e?ort is made to preserve the language, typography, and illustration of the original works. 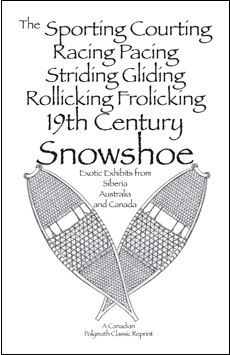 So far, the Canadiana Gallery of the “Reprint Museum” has been our main focus, but we will be branching out to other areas, both geographically- and historically- speaking, for future publications! To purchase these volumes, please e-mail peterboriana@gmail.com. Wholesale prices apply on orders of more than 10 books. 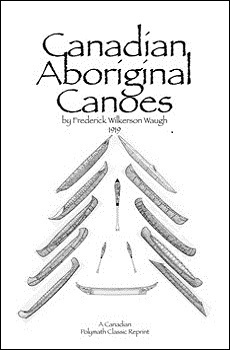 Waugh’s seminal article was the first truly scientific investigation of Native canoes, kayaks, and rafts. It includes information on the construction, typology, and use of these iconic boats. 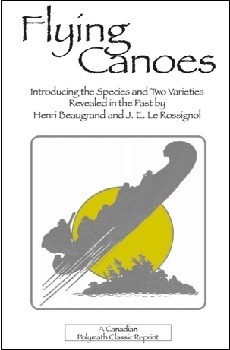 In a very real sense, Canadian canoe scholarship began with this piece! Includes the original photographs and drawings. 25 pages. Price $7.50 plus postage. Poetry on the theme of conversational boats! 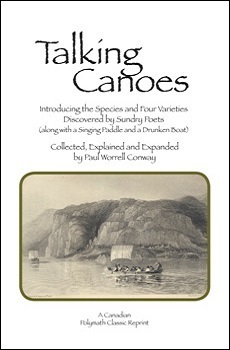 This Reprint features chatty vessels both European and Canadian, including works by Robert L. Stevenson (1878), Isabella V. Crawford (1884), and William H. Drummond (1898), bracketed by E. Pauline Johnson-Tekahionwake (1903), Arthur Rimbaud (1871), and a newcomer! Illustrated. 27 pages. Price $7.50 plus postage. Two early versions of the legend of the Chasse-galerie, a staple of voyageur folklore! The great Flying Canot-du-maitre, piloted by the Devil himself, could be of great use to a winter-bound woodsman, but using it came at a hideous risk… Includes the original artwork. 33 pages. Price $7.50 plus postage. 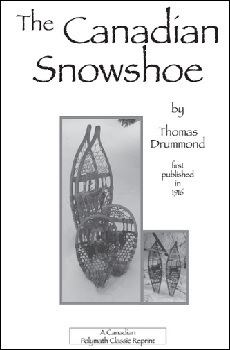 The snowshoe was known both for its utility in deep snow, and as an aid to the outdoor social life of athletic, amatory, bibulous, companionable, and hospitable kinds. The phenomenon was well-documented, and here we reproduce some of those accounts! Illustrated. 32 pages. Price $7.50 plus postage. 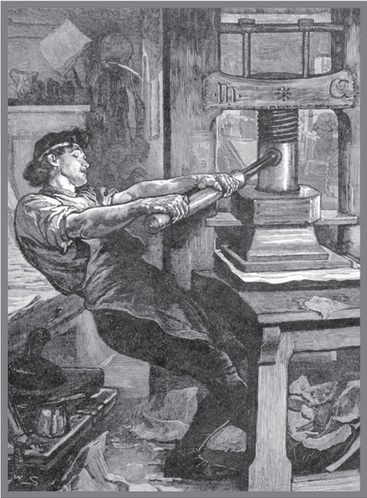 Compiled by Thomas White, jr. 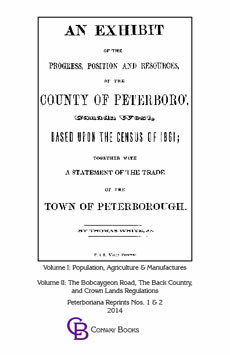 The full title of this work is “An Exhibit of the Progress, Position and Resources of the County of Peterboro’, Canada West, Based Upon the Census of 1861; together with a Statement of the Trade of the Town of Peterborough.” Volume I of this reprint presents the statistical tables of the original with explanatory text; Volume II contains descriptions of the Back Country. Price $7.50 per volume plus postage. And Many Exciting Titles Yet To Come! I am very interested in purchasing books.